The basic definition of compost is a material that results from the consumption of organic material by bacteria, fungus, and other organisms. Its main use is to enrich or feed the soil to enhance the growth of plants. 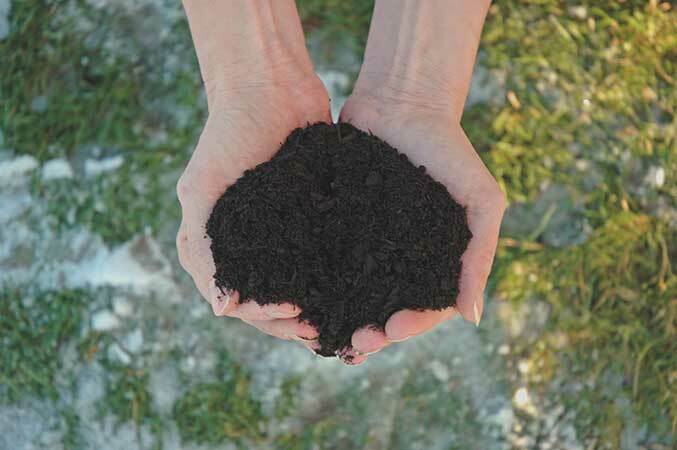 The science and culture of composting is the facilitation of the breakdown of organic material into a useable product under controlled conditions. The art of composting is setting up and maintaining the environmental conditions under which these microorganisms can multiply and flourish. The organic matter referred to as ‘feedstock’ is prepared in a variety of formulas and conditions utilizing air, moisture and particle size to provide an ideal growing environment so that these microorganisms can consume the given feedstock. The composting process is actually the cultivation of an astonishing diversity of countless billions of microorganisms that exist naturally everywhere at relatively low levels. This process is very much alive. For example, a handful of compost contains literally billions of organisms occupying as much as 50% of the contents of any given compost. These microorganisms can be referred to as a type of ‘livestock’; a reference used by the founder of modern composting Sir Albert Howard, C.I.E., M.A., a British mycologist and agriculturist. The particular feedstocks utilized at Earthbank’s composting facility on our property near Parksville are farmed and wild fish offal, farmed salmon mortalities, ground up bark from the forestry industry and ground up land clearing debris(exclusively local forest materials). The fish based component provides the protein feedstock and the wood based component provides the carbohydrate feedstock to stimulate the culture of the microrganisms. This process is conceptually similar to the culture of cheese, yoghurt and wine, for example. All of these products require specific feedstock and ideal environmental conditions to stimulate the culture of desirable microorganisms to produce an intended end product. Compost which provides plant nutrition however is fundamentally different than commercial plant fertilizers in a number of significant ways. 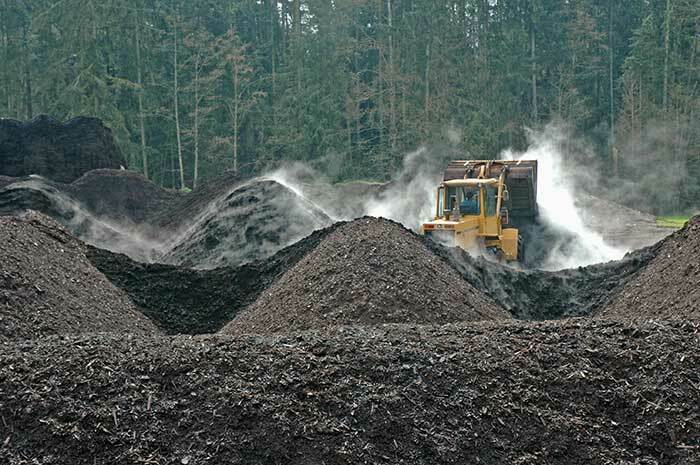 Most importantly, the production of compost is exclusively a biological process and the production of commercial fertilizer is a manufacturing process dealing with inert materials (elements and compounds). Commercial fertilizers are a form of direct feeding of nutrients to plants in the form of simple manufactured compounds. There is no benefit to the soil, as a matter of fact it is now widely recognized that commercial fertilizers can be detrimental to the soil and the environment. Compost provides plants with a complex array of essential nutrients already bio-synthesized into complete proteins, etc. This is due solely to the fact that compost is alive with microorganisms that interact symbiotically with plants. A useful human food consumption analysis would be ‘living primarily on nutrient pills and intravenous feeding of essential nutrients’. Though humans can survive this way it is hardly an adequate replacement for a healthy diet. Though the analogy has its limitations, more and more it is being recognized that there is no replacement for feeding the soil (indirectly feeding the plants) with compost, manures and other organic matter.